We often talk to patients in Astoria, NY, that fear metal braces are the only option for correcting uneven smiles. However, we provide patients with a clear and comfortable alternative, one that doesn’t employ metal braces at all. Let’s find out how ClearCorrect™ corrects the appearance of the smile and ensures better oral health. You may assume that correcting your smile’s alignment is a mainly cosmetic venture. 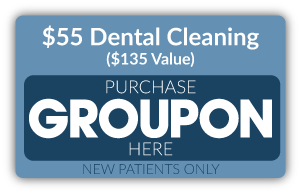 However, crooked and crowded teeth may impact your overall oral health in a number of ways. For example, brushing and flossing your teeth could become difficult. Over time, the food particles caught between your teeth will be broken down by bacteria, leading to a higher risk of tooth decay and gum disease as plaque coats the teeth. For other people, the misaligned bite could place pressure on the jaw joints, leading to headaches, jaw pain, and an increased risk of TMJ disorder and bruxism. Correcting your smile’s alignment helps improve your smile’s health! To ensure a comfortable fit and precise treatment, we will create a series of custom-made aligners. We begin by taking detailed impressions of your smile. We use these images to design and create the aligners. After we create the aligners from a clear, BPA-free plastic material, we give them to the patient. Treatment then begins, as the patient wears the aligners to offer the same smile correction possibilities as metal braces. Treatment involve wearing the aligners each day for between 20 and 23 hours. Approximately every two weeks, you will upgrade to the next set. 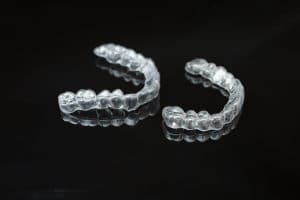 Over the course of a year to 18 months, these series of aligners will gradually and carefully correct the position of your teeth. During treatment, you will be able to occasionally remove the aligners. For example, you can take them out before meals (so you don’t need to alter your diet) or prior to cleaning your teeth at night (Making brushing and flossing much easier). Some may even remove them before special occasion, such as a date or graduation. However, to obtain the results you discussed with your dentist in the original timeframe quoted, you need to wear them daily as prescribed. If you have any questions about ClearCorrect™ or about your misalignment in general, then please contact our team today. We will examine your smile to see if you benefit from clear aligners and start the treatment process. If you suffer from crooked or crowded teeth, then talk to our team about clear orthodontics solutions. 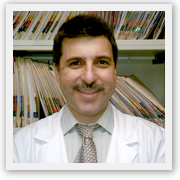 For more information on ClearCorrect™ and other cosmetic treatment options, schedule a consultation with us by calling Jeffrey Leibowitz, DDS, in Astoria, NY, today at 718-728-8320.